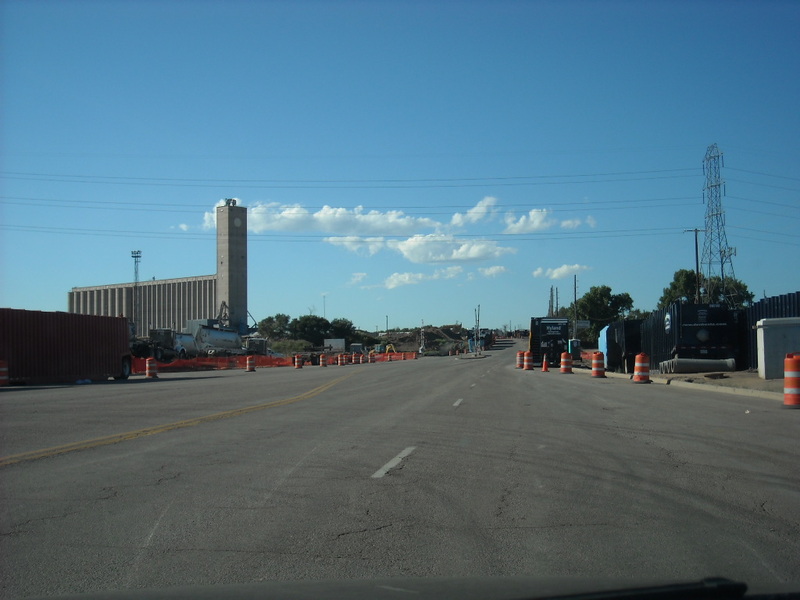 I was discouraged by a whole mess of construction going on just south of I-76 on Pecos where the old Modern station was supposed to have been located. I didn’t make it near the actual location, so I quickly bailed for the tracks just a short drive north and west. Not much to see looking south along Pecos near I-76. The area near 64th and Pecos is still a bit isolated with some industrial buildings, what appears to be a small irrigation pond, and oddly enough, some baseball fields across the street. Improvements were made several years ago along 64th Street so now people can enjoy a nice bike path nearby and singing birds at the pond. 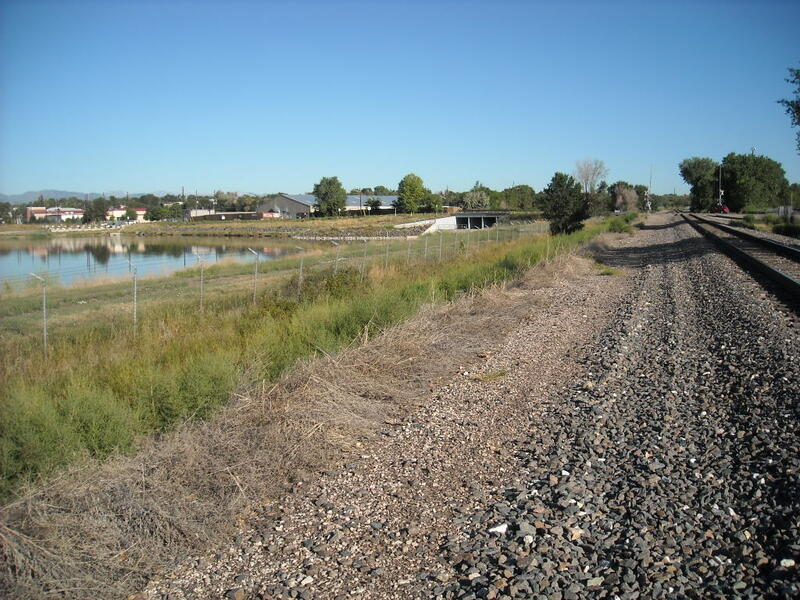 Looking northwest along the tracks near 64th and Pecos. Since the area along side the tracks was nice and wide, I decided to take a little walk. If the gravel path wasn’t as broad as it was I never would have ventured out. I had no desire to end up like Joe or replay the railroad bridge scene from Stand By Me! No trains rattled by me but hearing numerous whistles in the background gave me an odd feeling. While there is no way of absolutely knowing if this is the area where Joe met his death, it does provide a good physical sense of place. There is something intriguing by walking in the footsteps of those who came before us, and if I squint I can visualize and imagine how empty this area most likely was like a century ago when Joe walked along tracks similar to these. 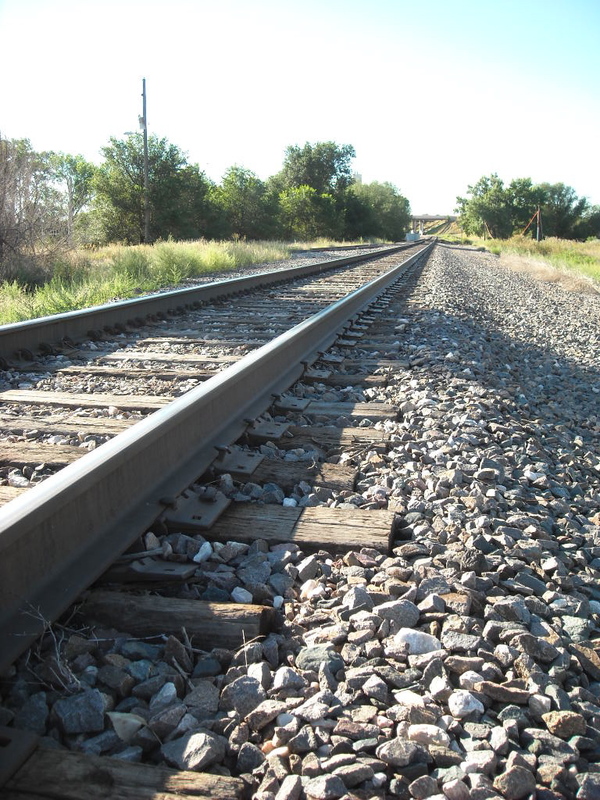 Looking south along the tracks near 64th and Pecos. The bridge in the distance is I-76. This entry was posted in Denver, Joseph Bevier, Research, Sturtevant and tagged colorado, history, research, sturtevant, trains. I remember riding my bike in that area with my dad 20 years ago. Where the tracks go under the highway we found a hobo camp and I remember wondering what that life was like.